Requirements for exporters of grain shall be regulated by law, — said the head of Rosselkhoznadzor Sergey Dankvert at the final press conference on Tuesday. the batch mixture of grains from different regions and with different phytosanitary status. 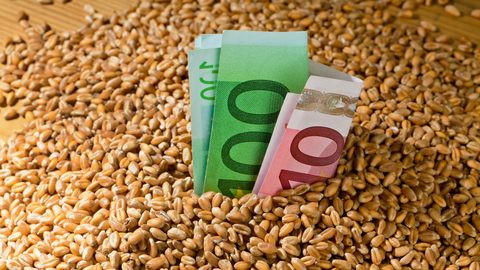 According to Sergey Dankvert, the tightening of export control is necessary to preserve the leading positions of Russia on the world grain market. "We want to be a major exporter or do we want our markets to close? ", he said. Now about 80 countries not only have phytosanitary requirements, but the requirements on the quality of imported grain. The lack of adequate regulation does not allow to provide requirements of importing countries. So, now the exporter can be a company that exists only two weeks, said the head of Rosselkhoznadzor. "I am advocating to restore order, but without such stringent measures, to forbid" - he added. The head of the Rosselkhoznadzor also drew attention to the problem of the shortfall in tax revenue because of offshorization. "Every exporter has her daughter in the offshore. All shipments are via offshore. Why do we today through offshore are unable to impose? Let them export directly. Want to Ghana, let Ghana go. In Sudan – in Sudan, let them go. Why everyone is going via Lausanne? ", - asked Sergey Dankvert. "I personally would like to see the state better. And more money was from the state. And taxes are paid. And is counterfeit products done," he concluded.